Just five games into their first season with the Braves and already the Upton brothers are making history. B.J. Upton tied the Cubs with a lead-off home run in the ninth and then little brother Justin won it 6-5 with a walk-off home run to center. According to the Elias Sports Bureau, the Uptons are the first brothers in major-league history to hit game-tying and walk-off home runs in the same inning. According to David Vincent of SABR, it’s the 25th time in major-league history that brothers homered in the same game and the first time since Cal and Billy Ripken did it for the Orioles in 1996. It’s the sixth time brothers have homered in the same inning but none of the others did it as dramatically as the Uptons. The Uptons did it with their parents watching from the stands. Justin Upton, who also homered in the first inning and started the rally in the eighth with a double, said the ninth inning topped anything in his career so far. When Justin Upton hit five home runs in the Braves’ first five games this season, he became the first player in major league history to do that in his first five games with a new team. He also set a franchise record for most homers in the first five games. 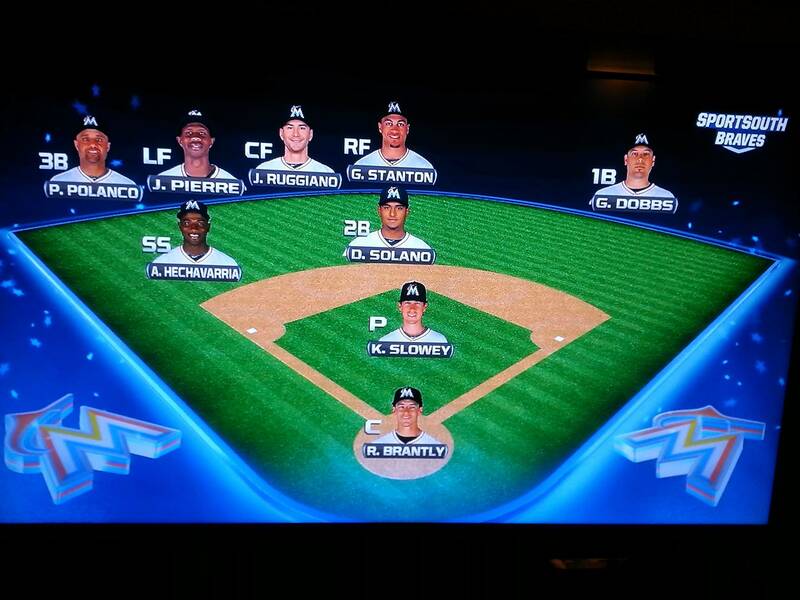 Fox Sports South’s suggested defensive alignment for the Marlins when Justin Upton is at the plate. That record will face an early test, though, because after opening with two home series, the Braves are on the road for the rest of April with a long road trip that will end with an interleague series in Detroit (more on that later). Gerald Laird, my holdover Barve, has seen action in three games this season and is hitting .400 to no one’s surprise. In my efforts to branch out and learn more about the Atlanta roster, I discovered bespectacled first baseman Freddy Freeman, who apparently and alliteratively is “fuming” about being placed on the 15-day DL for a muscle strain. Freddy Freeman captured at the moment he learned he’d be placed on the disabled list and began fuming. Still, I’m happy there’s a guy named Freddy Freeman on this team if for no other reason than allowing me to link to this from time to time. Expect it. This entry was posted in ALDLAND and tagged atlanta, atlanta journal-constitution, b.j. 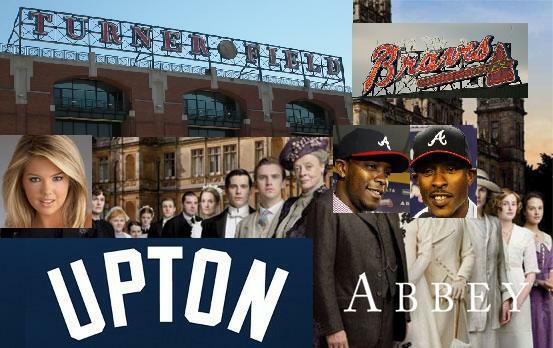 upton, braves, cubs, freddie freeman, justin upton, miles davis, mlb by AD. Bookmark the permalink.